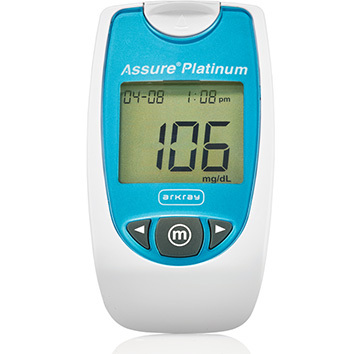 Assure Platinum Blood Glucose Meter provides healthcare professionals with highly accurate test results, while keeping their residents’ care in mind. Please Contact For Purchasing Details As You Could Qualify For A Free Meter! The first auto-code meter designed for long term care. 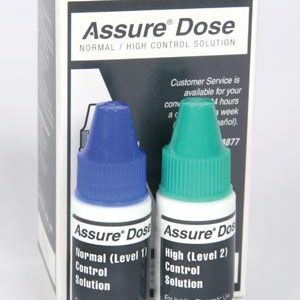 Feature loaded and made for multi-resident use, it helps facilities in compliance with state regulations and eases infection control concerns. 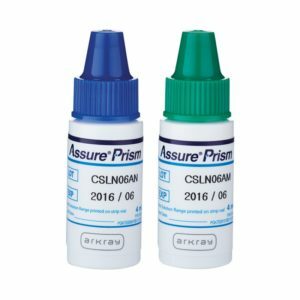 Precise and accurate strip chemistry is augmented by auto-coding, which can reduce chances for user error. 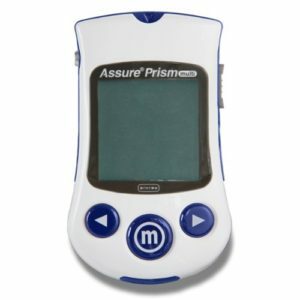 Key features and benefits include: auto-coding, high precision and accuracy, qcProGuard® control solution reminder, Hypo warning alerts staff to take action for low test results, strip release button — no need to touch used strips, ProGrip® material allows secure hold on meter, easy-to-find AAA batteries, top of meter strip insertion, small 0.5ul sample size, 500-memory with time and date stamp, 7 second test time, LCD with backlight, users cannot delete memory, plasma reference results and glucose oxidase (GO) chemistry. 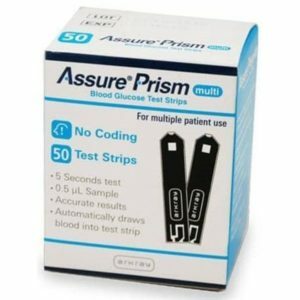 Assure Prism Multi Blood Glucose Monitor, Call to Qualify For A Free Meter!